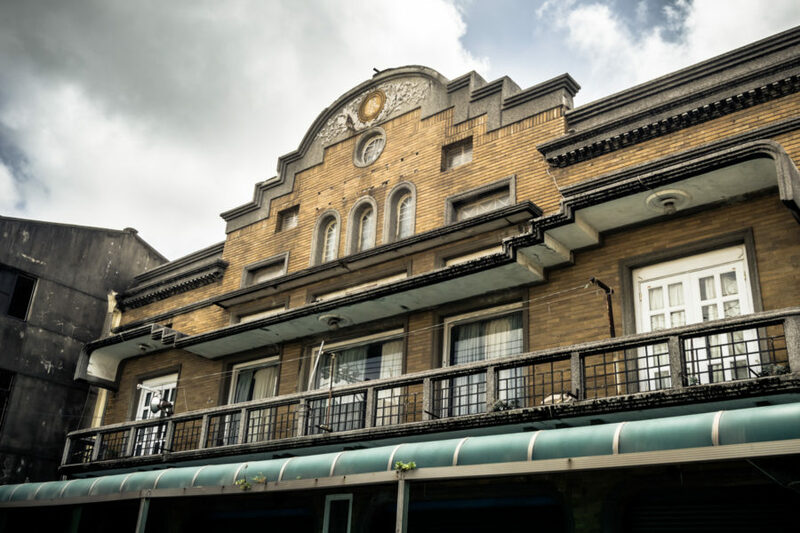 Beigang Theater 北港劇場 in Běigǎng 北港, Yúnlín 雲林, is among the finest and most well-preserved of Taiwan’s remaining Japanese colonial era theaters. 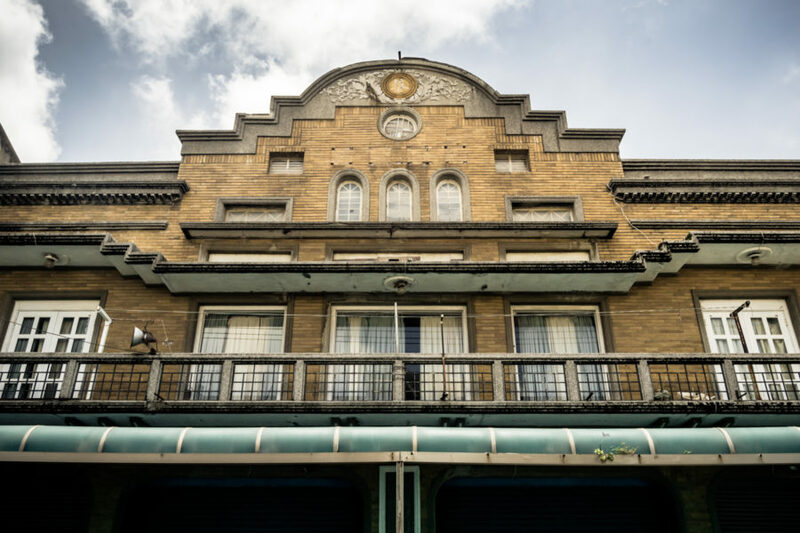 Built in 1937 with investment from a local businessman by the name of Tsai Yu-Hu 蔡裕斛 (whose old house is also worth a look), this three storey theater featured a revolving stage, seating for 800 guests, and simple western-style facade with a trace of the Baroque Revival architecture popular at the time. 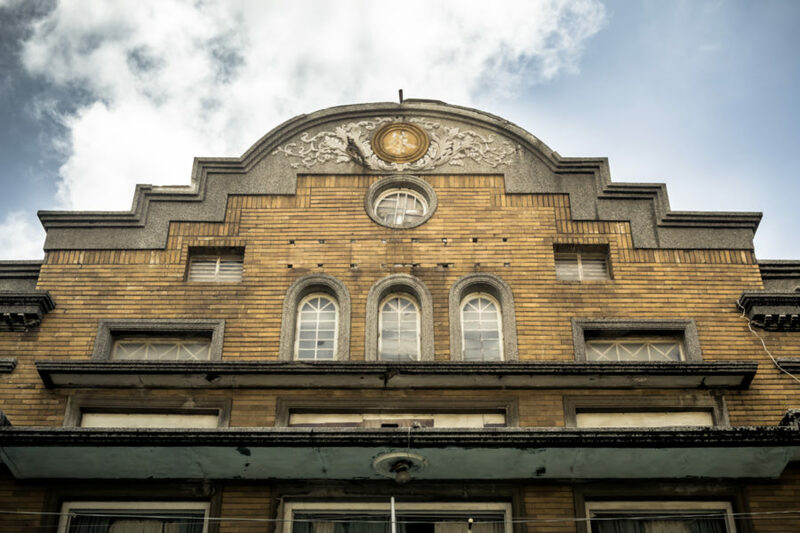 It was not only a cinema—Taiwanese opera, glove puppet shows, musical concerts, wedding banquets, and other events were also held inside. 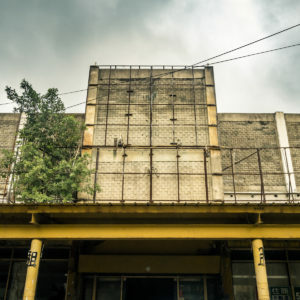 The theater went out of business in 1988 and was converted for use as a department store and restaurant for some time thereafter. 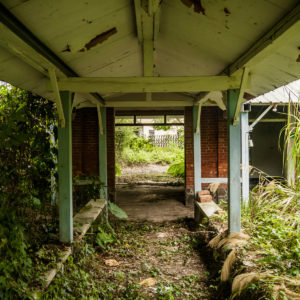 Nowadays it is apparently still in use as a pool hall and, inexplicably, a kidney dialysis center, but I saw no evidence of this when I visited in the summer of 2017. 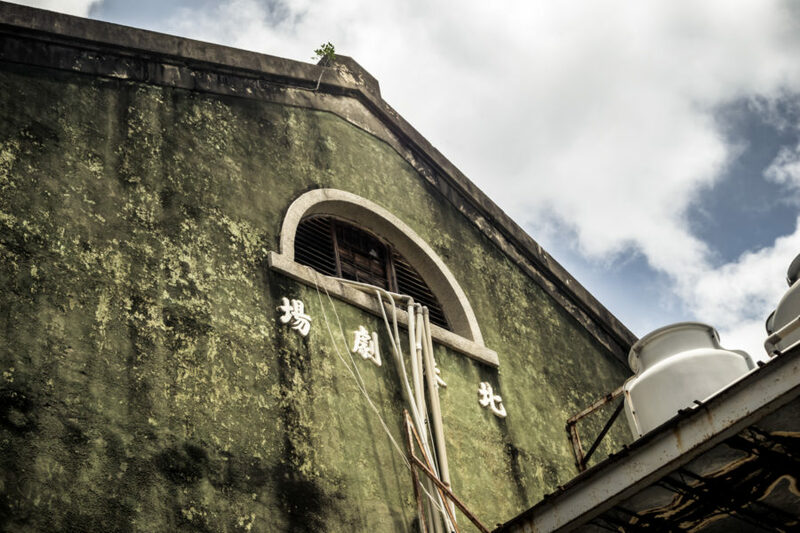 Beigang Theater is still in great shape despite being repurposed and disused for the better part of three decades. 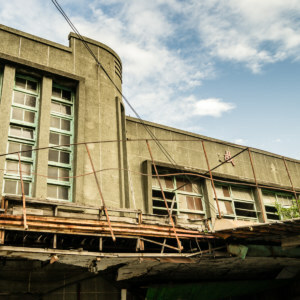 A closer look at the front of the old theater reveals several minor details. Note the character in the center of the ring at top; this is the family name of the original investor. Also note the mounting points for four square plates; these would have once displayed the name of the theater. 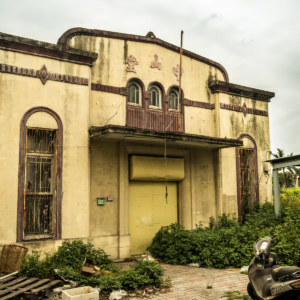 Beigang was formerly home to four theaters of which this is the second. 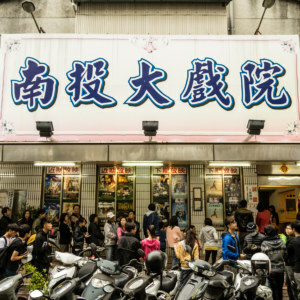 For this reason it was generally known as New Theater 新戲園 back in the day. 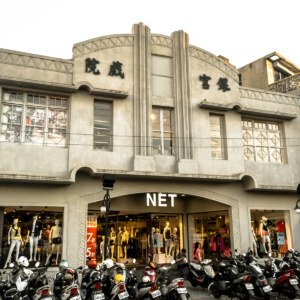 The nearby Dàfù Theater 大復戲院, which dates back to 1927, was designated a heritage building in 2009 and is presently undergoing a costly restoration process. 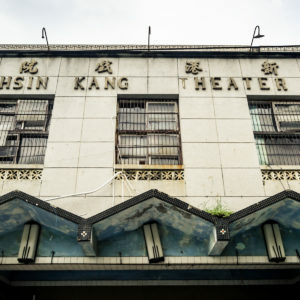 Despite its obvious historic and cultural value Beigang Theater itself is not protected by law, and I’ve not seen anything that would suggest this process is moving forward. 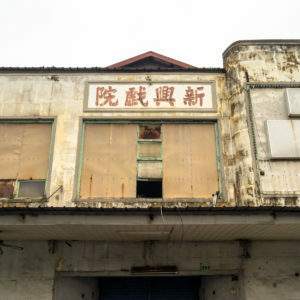 I’d guess this has more to do with resistance by the current owners than a lack of interest on behalf of the Ministry of Culture 文化部. 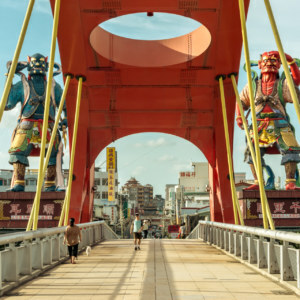 For an excellent overview of theater history in Beigang I recommend this post (in Chinese) and accompanying video by Yú Fū 魚夫 (in mixed Taiwanese and Chinese). 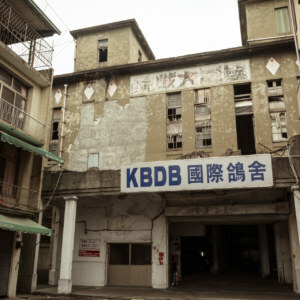 An oblique look at the old theater in the cramped streets on the north side of Beigang. 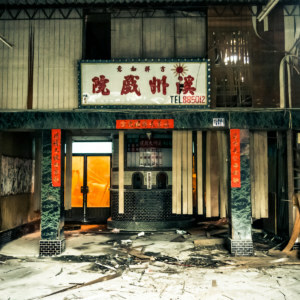 Around back at the old Beigang Theater. Somewhat surprisingly I haven’t found too many posts about this classic theater. 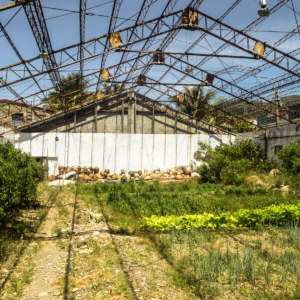 For vintage photos and more information in Chinese try following these links: here, here, and here.